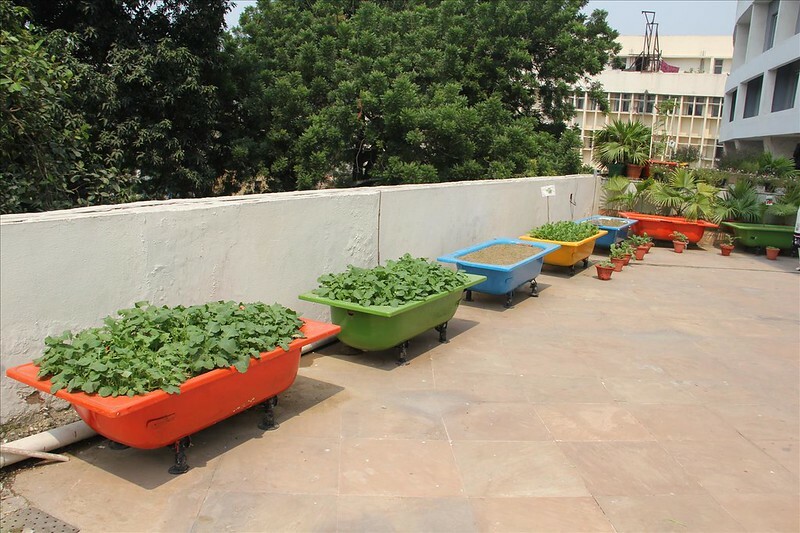 Wouldn’t you feel better if you knew that the daily greens on your plate were plucked right before they were served? An assurance, that everything, well almost everything, that you are eating are sourced from the best in the country and are mostly organic – is going to elate you. That was our feeling when we tried the new menu at Fire, the contemporary restaurant at The Park, New Delhi. 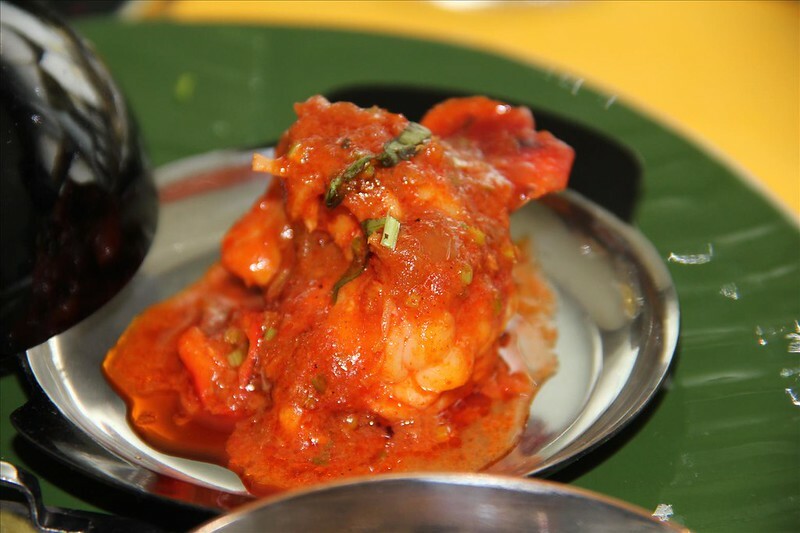 The ingredients are mostly organic, and every effort is made to attain the perfect 100%, and the dishes are kept simple. 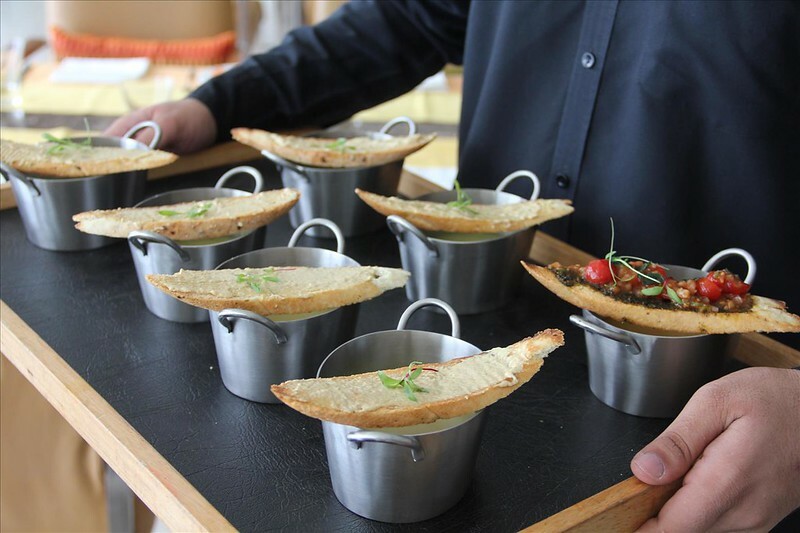 Over the years, in various food festivals and menu changes, the restaurant has always reflected the diversity of India – collaborating with Chefs through the length and breadth of the country to bring in the lost and forgotten flavors. Carrying on the tradition, the people at The Park, have gone to geographical ends to procure ingredients that make the new menu at Fire, The Park, such an amazing experience to have. 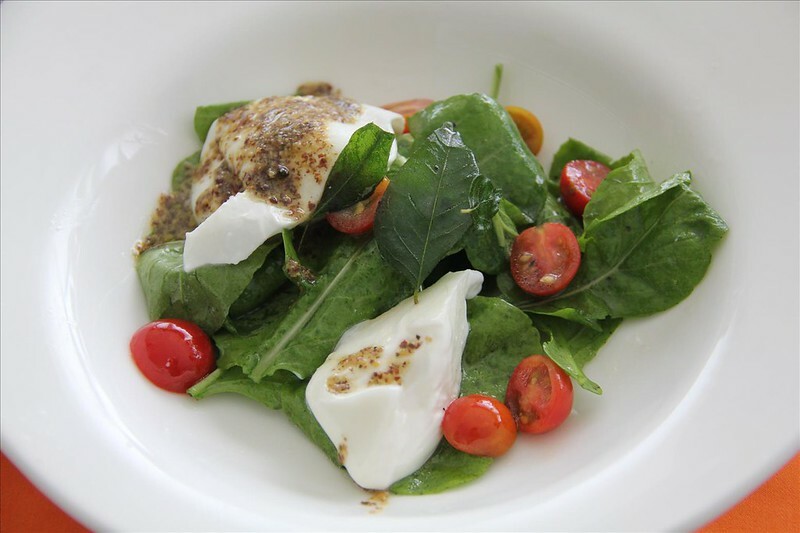 There couldn’t had been a better start to the meal – salad of burrata, arugula and tomato is a treat to have – creamy burrata from Father Michael, the Indian twist of crispy curry leaf and mustard seeds, Chef Abhishek Basu nails it. Yakhni Shorba & Drumstick and Mango Ginger Rasam are available for the next course – although the Yakhni Shorba, served with a multi grain toast with bheja fry is appealing, the vegetarian version was the clear favorite – the mango ginger (aamaada) has the goodness of both and imparts a unique flavor to the rasam; the cherry tomato and curry leaf brushchetta is an icing on the cake! We were very excited about the starter platter since it had 2 unique items – broccoli fennel tikki and bhut jolokia prawn stir fry (if you don’t know why bhut jolokia is, please read this now). 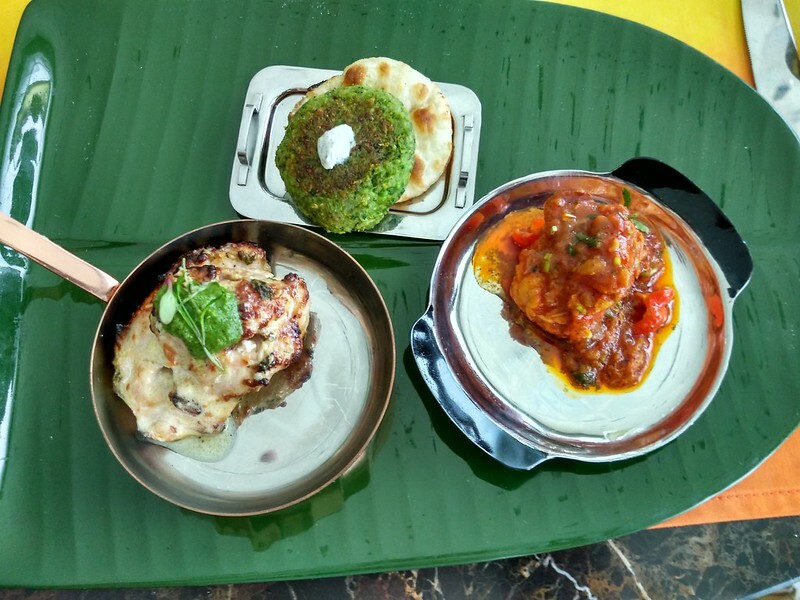 Saving the prawn for the last, we gorged on broccoli fennel tikki served with olive naan – the broccoli is sourced from the hills of Himachal and the dish is outstanding. Hats off to the chef, who transformed this mainly-salad-ingredient to something this interesting. Bhut jolokia stir fry was intriguing – the chilli is 400 times hotter than tabasco sauce (and I really can’t put more than 2 drops in my soups) – hence the excitement – of course the hotness has been toned down for the dish, but still the dish is pretty hot (pun intended, if you get it 😉) – the best part – the hotness of the chilli doesn’t overpower the individuality of the prawns – they work in absolute symphony to produce a wonderful dish. 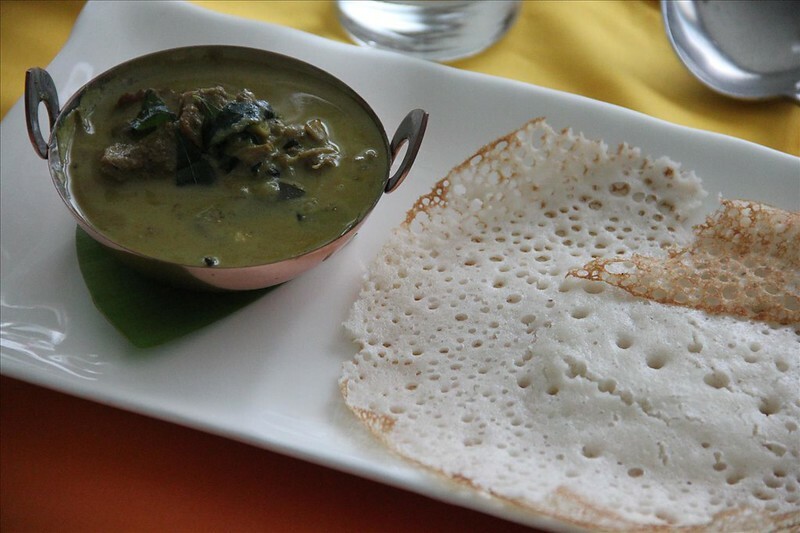 Kari sukka with Virudhnagar Parotta/Duck Mappas with Appam are the choices from the mains non-veg. 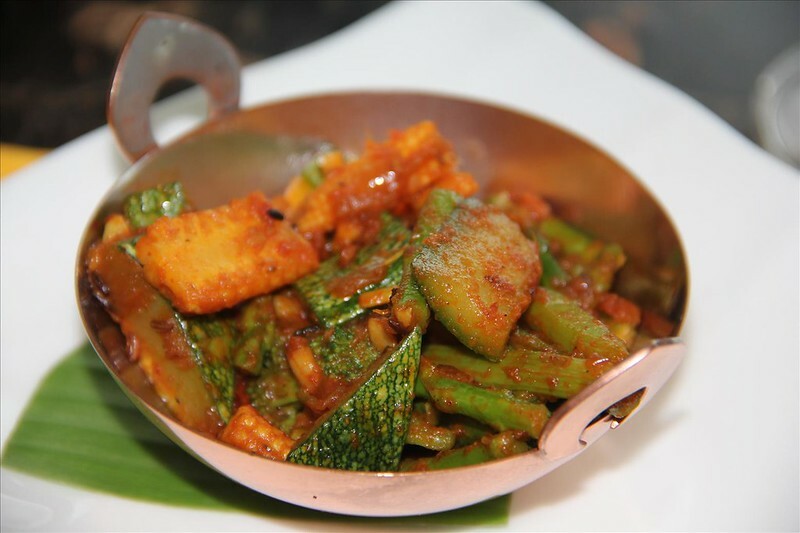 The vegetarian section has fire signature tadka vegetables/fire signature tawa paneer khatta pyaz. 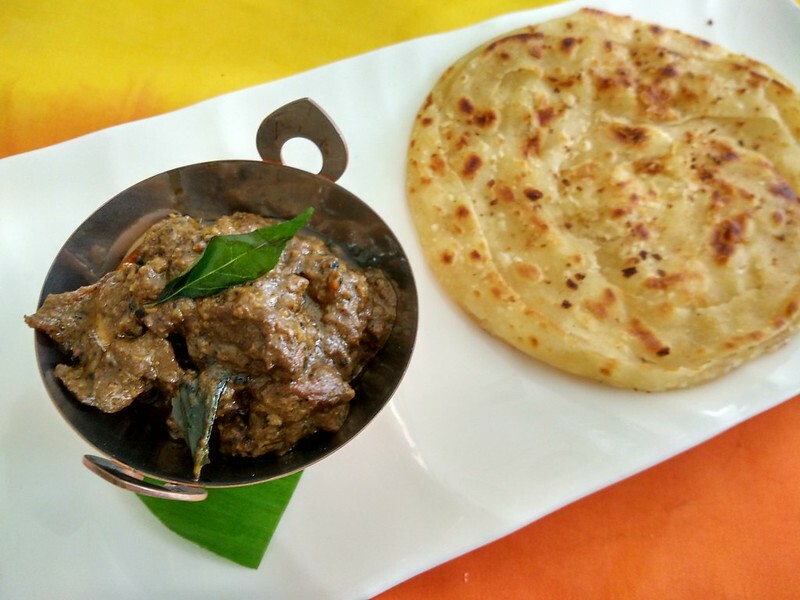 If you like pork, there is coorgi pandi curry, which is the best we have had – so good, that we wiped off two portions clean! 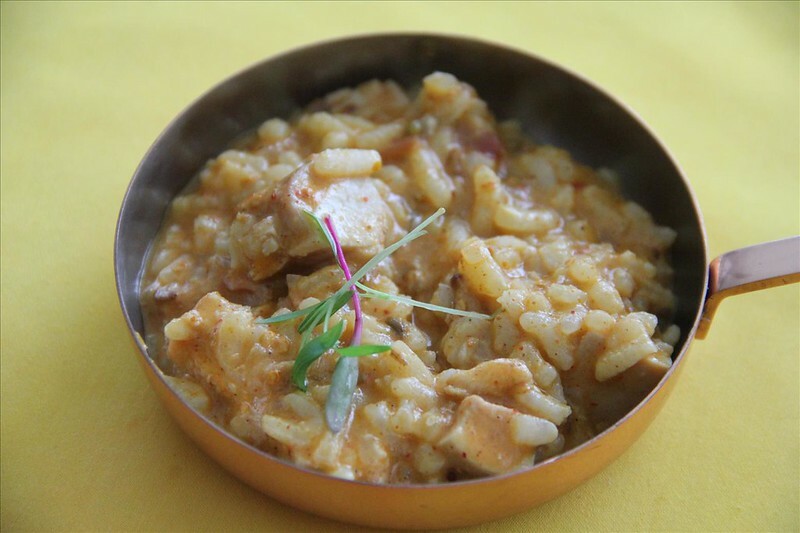 Achari Risotto (veg./non-veg.) has once again the Indian touch and is quite delectable. 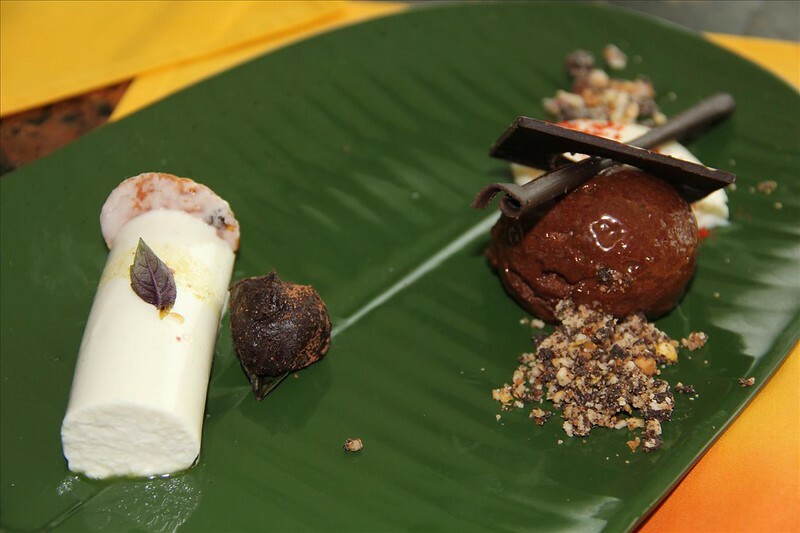 For desserts, we got to try purple basil and thandai panacotta, kali mirch truffle & mysore cacao chocolate mousse, chilli mascarpone quenelle, florentine crumble. The latter was definitely the winner – balanced textures with the mascarpone quenelle balancing the chocolate mousse and the florentine crumble providing the crunch. There will be more dishes introduced to the menu in due time. Fire at The Park has always done its bit to present Indian food in a contemporary style and the new menu aligns perfectly to that cause. 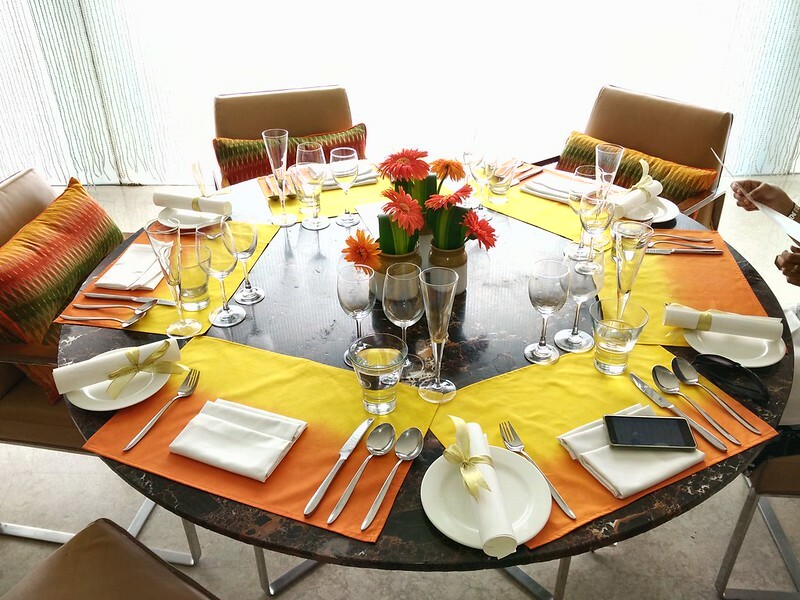 The experience is available as a la carte (lunch and dinner) and a Chef’s Tasting menu (dinner only).